Over the years, as I have attempted to read, study and meditate on God’s word and align my thoughts and actions according to His word, there are seven verses from the New Testament that have had a profound impact on my thoughts, actions and overall success in life. In my previous post, 7 Bible verses that have changed my life (part 1), I shared the first four verses. In this post, I’ll share with you last three of the seven verses, how they have impacted me personally and a key question you ask yourself. Every follower of Jesus Christ has at least one spiritual gift. Over time, more gifts are given and there is greater understanding of how to use the gifts one has. The intended purpose of the gifts you have is service, not self-honor or glory. This verse serves as a reminder for me to use what gifts I have been given to help serve in the local church. God intends followers of Christ to be players on the field, not just spectators in the stands. I make a it a personal practice to help serve where needed and gifted. Key Question: Will I take responsibility to pull my weight or just enjoy the privileges without helping make things go? It’s interesting that Jesus said where our treasure is; there our heart will be also. There is a deep connection between trusting God and our resources. There is great diversity in practice when it comes to giving and money. Personally I’ve practiced giving at least a tithe (10%) from the time I first started making money as child. God owns everything and gives me a portion to manage and with the portion, I have the privilege to help expand His Kingdom through giving to my local church first, then supporting other organizations. Key Question: How am I managing the financial resources God has given me to help expand His Kingdom? Part of the way God has hardwired His creation is by establishing authority figures. There are leaders and followers. Because we live in a broken world, no leader is perfect. This verse helps remind me that I need to follow the leadership authorities that are in my life (spiritual leadership, civil leadership, etc.). I should not follow a leader to violate God’s Word, but how often does that happen? This verse is particularly difficult as an individualistic American. However, I’ve seen time and time again that when I willingly submit to and follow my leaders, life just goes so much better then when I rebel and try to do it my own way. Key Question: Will I work for the good of the group and cooperate with my leaders to accomplish the goals/mission? Just like with the first four verses, there is so much more that could be said about these three and the impact they have had on my life over the years. It seems as if I’m never without an opportunity to apply them to new levels. 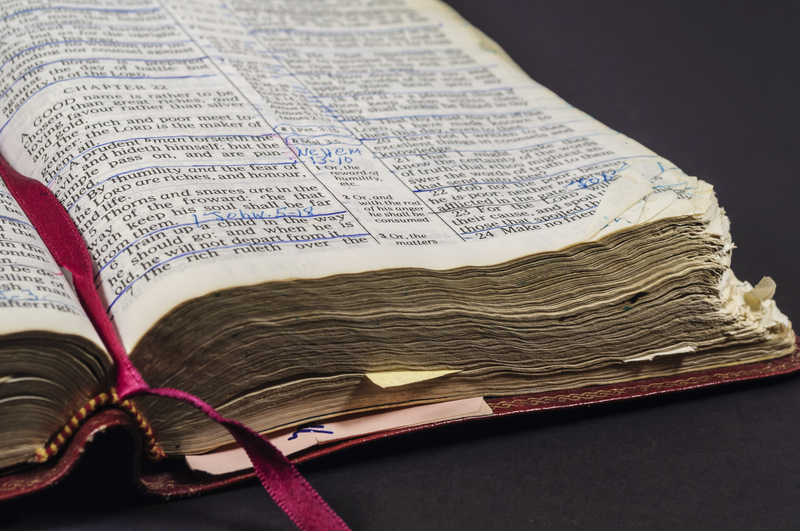 So what verses in the Bible have had a profound impact on your life?